Few destinations in the Western Hemisphere evoke as much curiosity as Cuba. And even fewer deliver an experience that so closely matches what resides in your imagination. 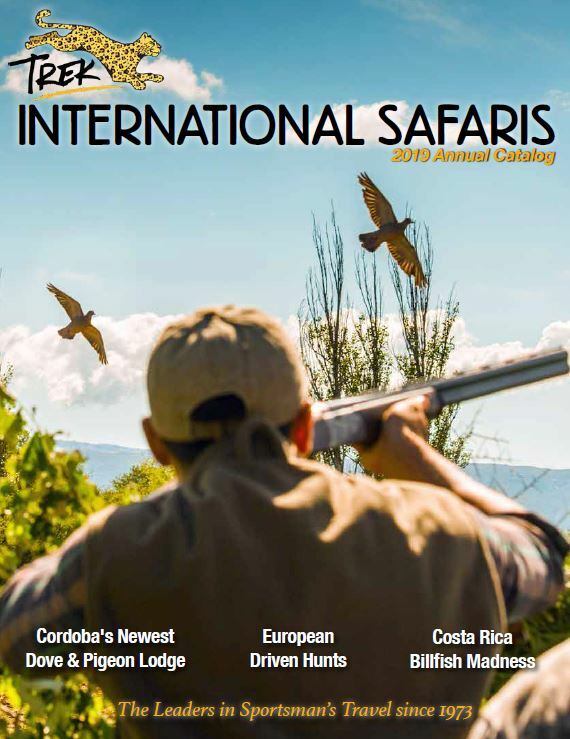 Some friends and I recently returned from a fly fishing trip to Cuba organized by TREK International Safaris. It’s a journey we will always remember for the incredible fishing, as well as the amazing cultural experience. You’ve likely heard that in many ways it looks as if time stopped in the late 1950s in Cuba’s capitol city of Havana. Vintage American cars, the eclectic mix of architectural styles, cigar-chomping gentlemen in fedoras— Cuba offers all of these things and far more. There is an awe factor in the sights and sounds of La Habana you won’t find anywhere else in the Caribbean. 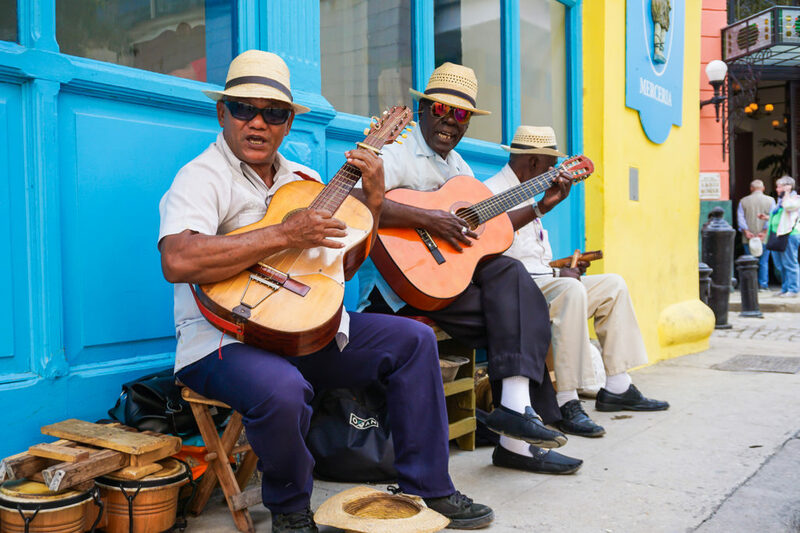 And while green shoots of progress are pushing through, creating a hospitable, traveler-friendly environment, the cultural experience Havana offers remains unspoiled and authentic. Upon arrival in Havana, we are greeted by our tour guide Alfredo, a cheerful man with excellent English, who walks the city streets under a fancy white umbrella. Our plan is to blow through the city in a day riding in some old Chevys, having drinks at La Floridita—where Hemingway allegedly drank somewhere between 15 and 50 daquiris in one sitting—and procuring enough rum and cigars to power us through three days of fishing while stocking our bags with consolation gifts for friends back home. This is our essential checklist stuff; after all, we had visions of bonefish cruising the shallows of our minds. We are in the city for less than an hour before wishing we had carved out more time to mine the seemingly unending nooks and crannies of Havana for cultural treasure. Yet, we have but one day and there is no time to lose focus, as we still have our priorities. The Cuban people are legit, but the cigars often aren’t. Seeing a sign for Cohibas, we make a beeline for a shop next to our hotel, The Park Central. Fun fact: there are more counterfeit Cuban cigars in Cuba than in any other country. Actually, this is only a fun fact if you don’t bring home fake Cubans and try to pass them off to someone who knows better. Unless you’re an expert, seek out a Casa del Habano to ensure authenticity of your purchase. Before the embargo went into effect, President Kennedy bought 1,200 Cuban cigars. While U.S. citizens traveling to Cuba can’t legally go full Kennedy, we can return home with up to 100 Cuban cigars. If you plan to bring that many home, factor that when you are deciding how much cash to bring. Speaking of cash, when you hear bring plenty of it, take this advice to the bank. Actually, take it from the bank, before you leave, because U.S. banks and credit card companies are still prohibited from doing business with Cuba. One of the travelers in our group burned through his cash the first day of the trip and had to rely on the kindness (and IOUs) of friends for the rest of the trip. Don’t be that guy. Ironically, it was this same traveler who decided that the nightlife in Havana was worth staying back an extra day while the rest of us pushed on to Playa Larga for fishing. Are we cheating? ¡Es Posible! We arrive at Playa Larga Lodge after two days in Havana, giddy to stalk some bonefish and get our reels singing. But first, we take a moment to acknowledge how lucky we are to be in this place and share this experience together. We are standing at the water’s edge of one of the key Bay of Pigs landing sites. We are stocked with good rum and great cigars. And, we have three glorious days of fishing ahead of us. After we’ve had breakfast and ordered our “liquids” (boat drinks) for the day, our guide, Lasaro, introduces himself and politely informs us that the wind report is less than ideal for sight-casting bones. “I am recommending the American football audible,” he implores, urging us to consider cruising the mangroves for tarpon. 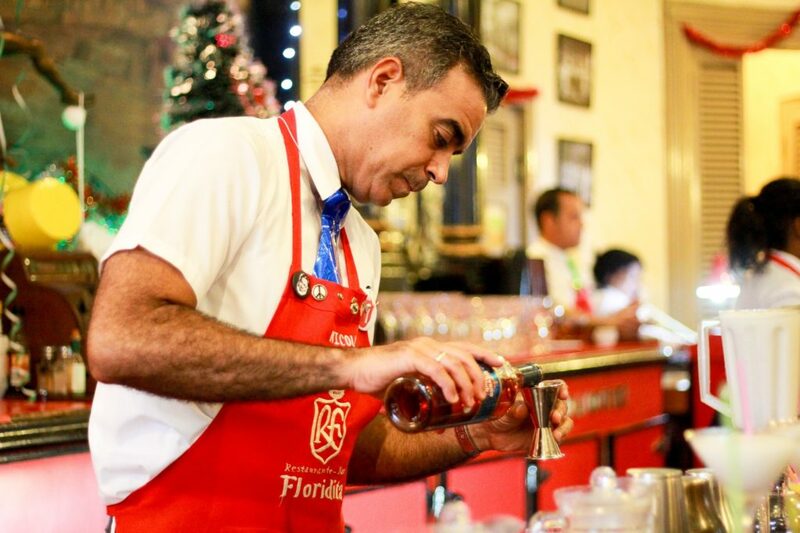 We excuse ourselves for a sidebar discussion and quickly decide we need to get some Havana Club Rum into Lasaro’s coffee thermos fast, so we can better influence his decision making. But before we can execute our plan, we are summoned by our driver, who is waiting to take us to our fishing destination, Las Salinas. The ride from Playa Larga through Zapato National Park to Las Salinas is bumpy, but scenic (even living in Florida, this is the first time we’ve seen flamingos in the wild). Once we arrive at the boat launch, we waste no time pushing out into the flats. Lasaro motors his Beavertail Skiff through a breathtaking expanse, which is but a swatch of the nearly 100,000 acres of pristine grass flats that comprise Las Salinas. We had read that an angler may fish this stretch of unspoiled ecosystem for many days and not catch glimpse of another boat, which is something we can confirm now through experience. Turns out we do not need libations to convince Lasaro to let us sight fish. All our Cuban hosts are lovely people, hospitable and eager to please. For the better part of two hours, we have a good number of bones in casting range, but woefully wind-blown fly casts outnumber the fish at a four-to-one ratio. We have a good laugh and Lasaro fires up the engine and calls his American football audible. After a short run, we stop and make casts into a milky churn of sand-stirred seawater, indicating an aggressively feeding school of hungry bonefish. We land more than a dozen bonefish out of this spot in less than an hour, and we agree that on a blustery day like this, any fish landed is an achievement. 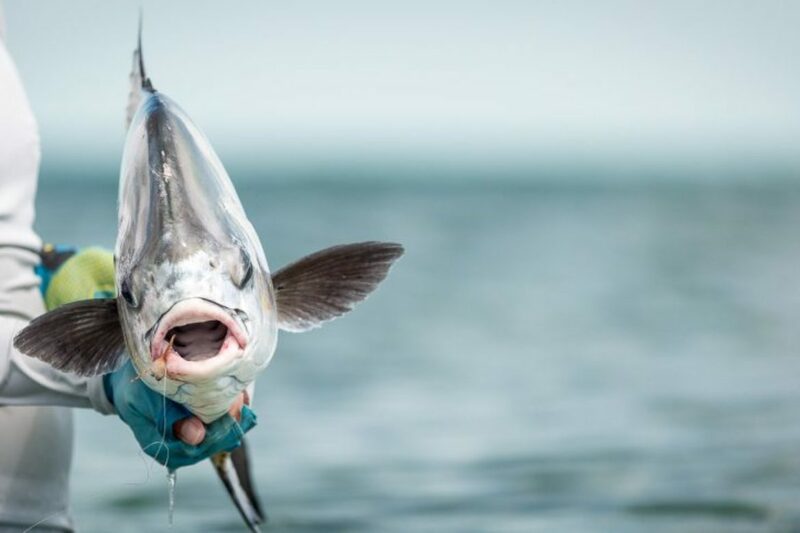 Even the small bonefish in Cuba peel off line with a nasty attitude, and if we ever get tired of that, it will be time to get fitted for straight jackets. The next two days bring better fishing conditions, and we have lots of great shots at bonefish. While errant casts still outnumber the good ones, we manage to land a respectable share of sight-casted fish. At night we dine at paladars, home restaurants owned by industrious locals. The dishes are simple but delicious—pork or fish, rice and beans, plantains— the Cuban staples. 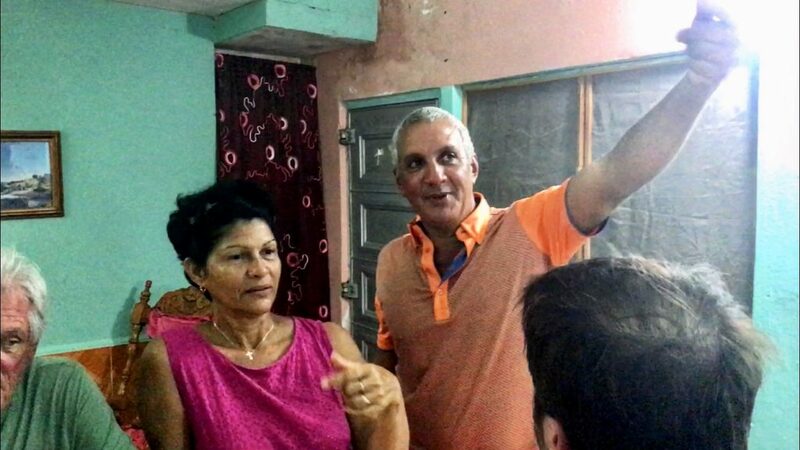 The hospitality is remarkable, and our hosts talk freely about life in Cuba and their dreams for the future. We share our fish stories, all true of course, and make an accord to return again before Cuba becomes commercialized. The final night of our trip, Lasaro invites us into his home for dinner and to meet his family. He tells us of his desire to master the English language and of his plans to use his earnings from guiding to build on to his two-room house to accommodate his growing family. He shows us how the locals use handlines for fishing; and yes, they still target big billfish by hand. We ask if he wants to visit America. “I pray es posible,” he replies. It is a lovely evening and we all agree it’s the highlight of the trip. With a shared love of family, friendship and fishing, we are in many ways the same, differing most greatly by the circumstances into which we are born. You learn a lot traveling to new places, and the learnings can provide some of the greatest excitement, not to mention the best stories and most lasting memories. However, Cuba isn’t exactly the type of place you want to do yourself. Fortunately, our group had TREK’s team and network to help us stay safe and focused on creating memories for a lifetime.